F.M. 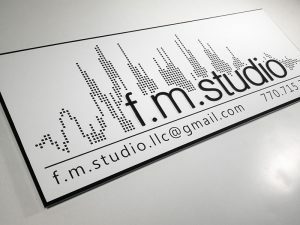 Studio Sign - Pure Black, Inc.
Francisco + Miriam + remodeled homes = F.M. Studio. 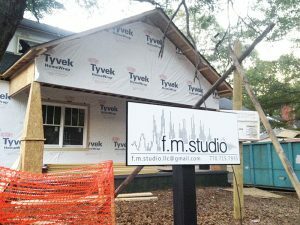 They needed a sign that was easy to transport and install, but could also stand out from your usual corrugated temporary signs. 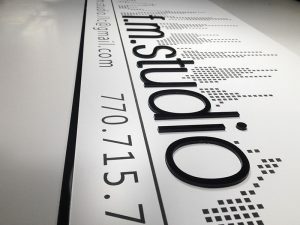 1/4″ acrylic backer with an 1/8″ black/white acrylic face and 1/8″ black acrylic raised letters. We designed the logo as well, using a skyline-meets-wavelength concept.